The GBC G400 is a light, powerful, compact and versatile grinder for rapidly grinding and linishing large diameter vessels, boiler shells etc. 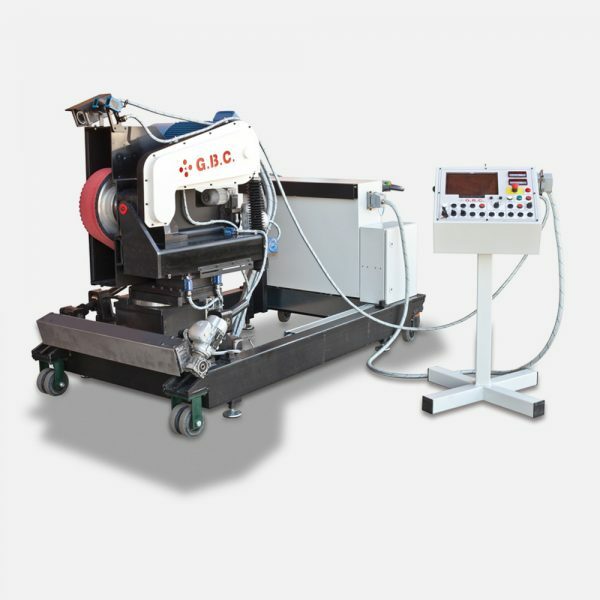 G 400 Grinder head feeding system is pneumatic with compensation which retract the feeding piston when meeting ovality on the work piece causing overrate of removed material. Operator must then restore the correct feeding rate of grinding disc on the vessel. Grinding head can turn of 90° for dedicated set up when performing longitudinal back gouging (mounted on column welding boom arm only).